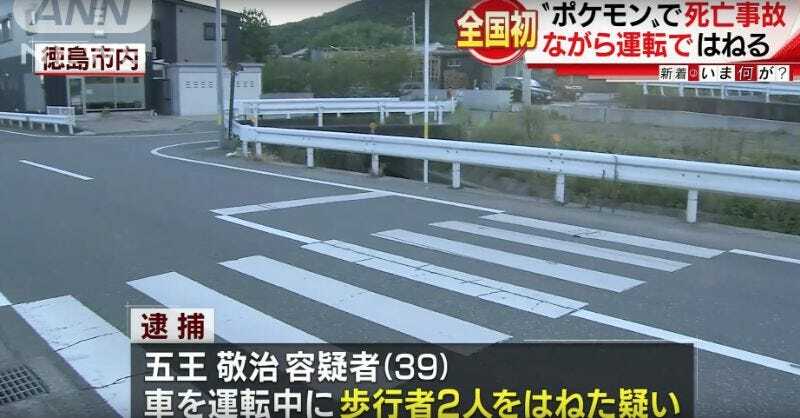 Last night at around 7:25pm in the Japanese city Tokushima, two women were hit while crossing the street, fatally injuring one of them. The driver, 39 year-old Keiji Goh, admitted he wasn’t watching the road ahead, because he was playing Pokémon Go. According to ANN, one of the women, 72 year-old Sachiko Nakanishi, was transported to the hospital, where she later died. The other woman, 60 year-old Kayoko Igawa, suffered serious injuries from the accident. Earlier this month, a Pokémon Go update warned players not to play while driving.